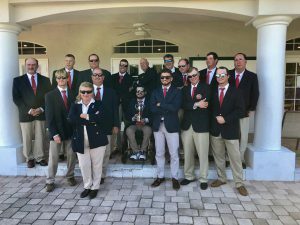 The Phoenix Cup 2108 is a “RYDER CUP” style competition played between disabled golfers from the USA & Europe. It was played over 3 days the format being 6 x foursomes on day 1, 6 x 4 ball better ball on day 2 and finally on day 3, 12 x singles. Each team for Inclusivity had to field players with a variety of disabilities and showcase all golf handicaps by having 4 players with handicaps in each range 0 –10, 11-20 & 21 plus. This proved successful as 80% of the games went to the 17th & 18th Hole. 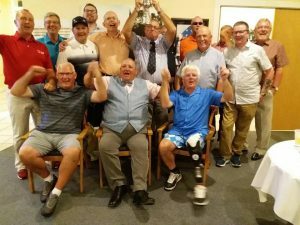 The inaugural Phoenix Cup was a great success and was enjoyed by all participant’s, however, the financial support for the USA team was evident to see. Team Europe’s aptly named “Dads Army” all made the trip at their own cost. However, tragedy struck the Europe team the day before the event. Sadly, Mr Billy Cairns from Kilmarnock suddenly had a heart attack in his hotel room and passed away. This sad event devastated the team, it was unanimous that we would continue and win it for Billy #doitforbilly. 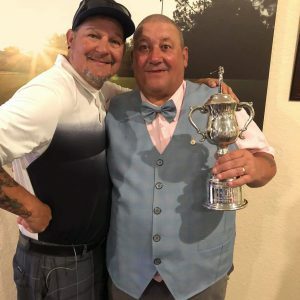 Billy was a very cheerful funny guy and brought a smile to most faces at any event he attended he will be sadly missed and both SDGC & BIG are planning to have an award in his memory in the future. …all the past Ryder Cup players had stressed the overriding importance of team spirit and camaraderie, hardly an auspicious start. Friday 12th October… optional practice day…. 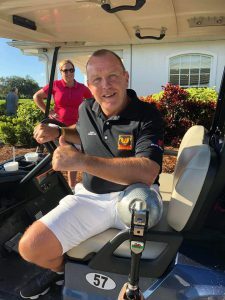 again not a great start, missed lifts, changing tee times, the team all over the place, but all this paled into insignificance as we heard the devastating, tragic news that our popular charismatic colleague Billy Cairns had sadly passed away whilst chilling at the hotel. That evening many a tear was shed but equally many a humorous anecdote about our fallen hero. It was this evening that this rambling, ragtag dads army collection of guys became a team…. #doingitforbilly… even then more hassle the boss Jim Gales arrives minus clubs. Saturday 13th October… Florida open day, surprisingly all the team elect to play but its clear golf is the last thing on everybody’s mind…only 3 of the side break par, but as the news about billy has broken back in the UK, we are overwhelmed with the outpouring of support and encouragement, particularly from Billy’s family. Sunday 14th October… meet the teams and draw for foursomes. If we were in any doubt about the challenge ahead, we soon realised it as our USA opposition turned out superbly attired, well kitted out and clearly a very young and extremely talented bunch of golfers…but we had billy looking down on us and that night our Team again joined together as billy’s team and we were clearly ready to rumble…. The team, wives and supporters clearly up for the battle ahead. Monday 15th October… the opening ceremony and foursomes…. 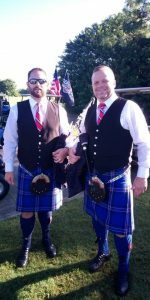 sounds of bagpipes, a moving ceremony and fitting tribute to Billy started this Ryder cup style-match. I was really emotional and chocked up but mighty proud of my opening shot cracked down the middle. 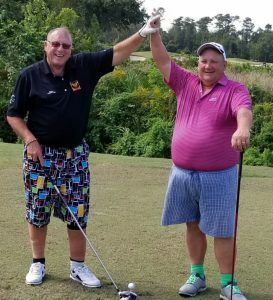 Tuesday 16th October… we expected a backlash and got it, in the fourballs, we were beaten 5 to 1, levelling the tie 6 each….. not that we played badly 3 games went to last and we could have had a lead going into last day. There was some good news, the boss clubs and the case turned up and Mr Gales, at last, had some clean clothes and more importantly body spray. Two players notify us they aren’t feeling up for it… it had been 42 degrees each day on a long dry course and it was beginning to take its toll on our Dads Army. To the strains of ‘ole ole’ ALL the guys played out their skins…. it was even hotter today, but not as hot as our golf out on the course and the rest is history. …. and the Phoenix Cup is coming back to Europe… we had #doneitforbilly. we will be comrades in arms forevermore. The Cairns family, your support and encouragement in your darkest hour was a significant contribution. Billy Cairns RIP, teammate, friend, gone but will never EVER be forgotten. FROM DEVASTATION AND DESPAIR TO ELATION AND JOY! Team Europe fought and played hard against a much younger USA team, every team member playing their part in the victory, some even forfeiting their place in the singles for the better of the team. The winning putt was sunk by our oldest team member Jim Thompson, however, it was sadly missed by most, as we were watching the captain close out his match, we all thought this was the match that would win it for EUROPE. However, without the camaraderie and losing Billy, I doubt the result would have been the same, each player digging into inner strength to ‘DO IT FOR BILLY’. The whole team are so proud to have won for our lost comrade. 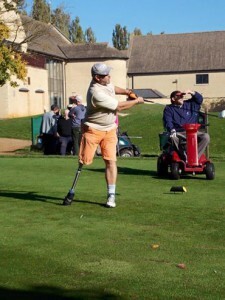 This competition is NOT ABOUT ELITE GOLFERS it’s about “INCLUSIVITY” and getting more disabled people playing golf at the highest level they can achieve. The competition, the format was a total success however if this event is to grow we need more financial support to get younger people involved in the future. 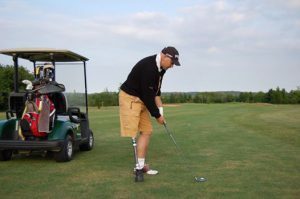 This competition is NOT ABOUT ELITE GOLFERS it’s about “INCLUSIVITY” and getting more disabled people playing golf at the highest level they can achieve. Anyone wishing to get involved please contact www.scottishdgc.org.uk or www.britishinclusivegolf.org reports and videos can be found on both websites and Facebook pages of both organisations. Joining a Golf Club – Confessions of a Golf Addict Pt 4…. So at this stage, I have been playing golf for roughly for three years, my ‘Society handicap’ was 25 (before I knew about The Social Golfer) and I still wanted to improve. Fuelled with the comments made to me by other society golfers (that I have to play more) I decided it was time to be joining a golf club…. Now this is a big commitment as golf took up only about 10 days a year…not only was there the financial implications but also the commitment to playing the game every weekend. “My club would be a great place for you to start Paul” says one of my social buddies. “They have a special offer on, of 18 months for the price of 12” So I join, seconded by the fella that has recommended me the club. Off I go to meet the Secretary at the club. Now this club has/had no buggies so I have to buy my own. This is another financial outlay and getting the right machine to fit in my car is not an easy task. Anyhow I find a machine for sale on e-bay; I put in an offer and win the thing! At the weekend I shoot over to Kent to pick the item up. The machine is only a couple of months old and looks brand new, the guy selling the buggy only used it to watch his grandson playing he was not even a golfer. He shows me how to dismantle the machine and I load it up in my Land Rover. Off I go, back to Essex with my newly acquired golf transport. On getting it home I reassemble it.This takes about 15 minutes and park the buggy in my garage. I’d seen other buggy owners leave their machines complete using ramps to load and unload their ride-on’s. So back to ebay… I purchase a sturdy pair of ramps, that look as if they were built by Isambard Kingdom Brunel…they weigh a ton. My then driveway was on a slope, I wait for my ex to go shopping then reverse the Land Rover in position, the rake of the slope is shortened by the ramps and I feel confident that the machine will almost roll unaided into the boot with ease. I line up the wheels of the contraption and free wheel the buggy onto the ramps. Creaks emerge from the ramps but they are so sturdy, I have nothing to worry about but what I had not anticipated was the weight of the buggy and the tyres gripping the ramps jagged surface. So I try and push the buggy, no joy though, the brute is stuck. I have a light bulb moment, why do I not just turn the machine on and use the motors to locate the buggy in the boot. I switch on the device turn the throttle and the buggy shoots forward wheels spinning up the ramp, the tyres are gripping like no tomorrow, the ramps start to shift and I am hanging onto the throttle for dear life. The buggy lurches from the ramps precariously perched with two wheels in the boot, the others, one spinning furiously in mid-air one still on the ramp, I let go of the throttle and try to heave the machine the last three feet. Crash one ramp hits the concrete, I am now the only thing hold the buggy up, I lose my footing (did I mention I only have one leg!) and the other remaining ramp gives way, we all fall to the floor. I am now pinned to the concrete driveway by a ramp and the buggy which is on top of the ramp; I am half under the car and can’t move an inch. I try to bench press the machine but it slides further on top of me, I can’t reach my phone which is in my pocket…I am facing death by golf buggy on my own drive! There is no one in the house, help I shout weakly, half humiliated by the embarrassment but now also now starting to panic. “Help!” much louder this time, I hear footsteps. My neighbour’s (who had been washing his car) face appears grinning above the wreckage that is pinning me to the floor, ‘do you need a hand old chap’ yes I squeak I’m getting crushed. After a few brief grunts and groans I am free from the carnage and thanking my neighbour profusely for saving my life. 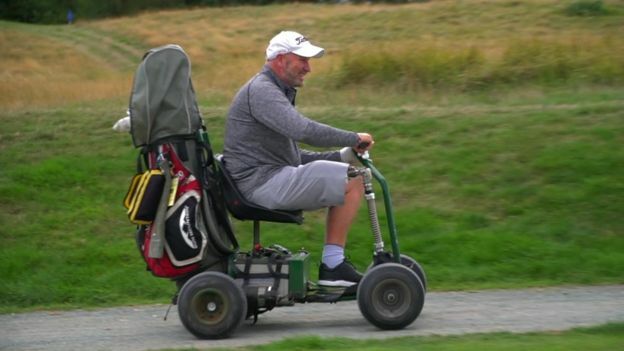 After a few more dry runs, I mastered the buggy into the boot without any more mishaps and set off to my new Golf club the day after. On joining the golf club, I was told that the Saturday swindle would be a good way to introduce myself. So I pitch up at 7.30 am on a chilly October morning. There are about a dozen or so men milling around in the car park. I introduce myself, balls are placed in a hat and drawn, and I am allocated a four-ball. Is this what people discuss on the course these days?… I think to myself! I must confess, the round was not my best but after a few holes, I settled down and showed my partners that a one legged player could actually hit the ball. On arrival at the 18th I was starting to feel a little more confident. I drove the ball just off the fairway but still in reach of the green that was about 160 yards away. Grabbing my 6 iron, I fancied the approach shot. I lined up feeling one good blow would allow a possible par on the last; I had not got one yet. Swoosh… I smashed into the ball which set off straight but then reared right, tuening into an almighty slice. The ball clattered onto the club house roof and disappeared down the other side. “That’s OB” a member indicated, so I played a provisional (this time straight) but nowhere near the green. I set off to retrieve my ball which when I got in the car park sat in the Lady captains parking bay next to her car. As I approached she got out of her car. ‘Well that shot was a bit wayward wasn’t it’ ‘yes’ I sliced it ‘never mind’ she replied bending down picking up the ball and offering it to me, I was still sat in my buggy. I reached out to take the ball…but she held onto it with the grip of a steeple jack, I looked into her face which had been smiling, it now turned to thunder. She let go of the ball and announced ‘and don’t drive your buggy over the tee next time!’ to my horror I had done just that, in haste to fetch my ball. I returned to my provisional ball and promptly took an 8. A game under my belt and only two more cards to go I would have my CONGU handicap…god help me I was now a Club Member….and clearly had some way to go before I had endeared myself to “the committee”. Paul Houghton is a member at Riverhall Hall Golf Centre where he plays off 15 (on TSG). 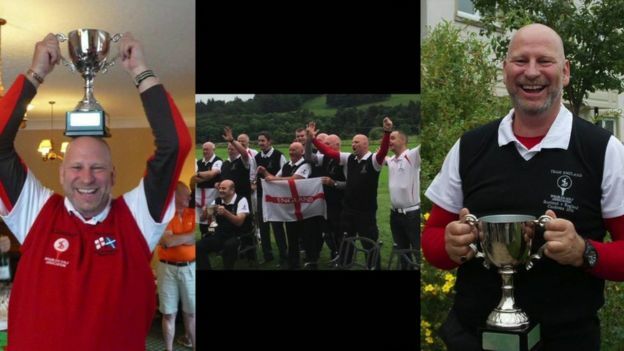 He’s also a member of the Disabled Golf Association and European Disabled Golf Association; he has represented England nine times in tournaments. 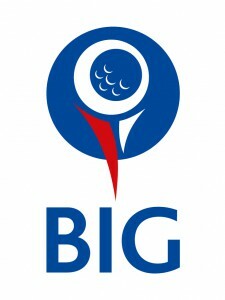 British Inclusive Golf are running a program of taster sessions and workshops for disability groups in the North East and North West down the M62/A1 corridor….. The charity is in its 4th year and has decided to be self-funding in 2016, as this gives more flexibility to work with groups who wish to take advantage of the ‘British Inclusive Golf’ program, rather than working with groups who feel they have to be involved. 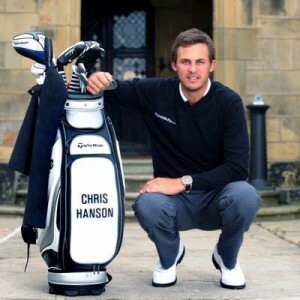 We are also fortunate to have Huddersfield golfer Chris Hanson a European Tour Pro, become our Ambassador this year and hopefully his support will attract new members and support. 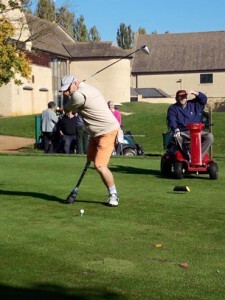 June 20th – 22nd versus Scottish Disability Golf partnership @ Linden Hall Hotel, Northumberland. Part of our fundraising program we have started a NEW members draw, where members can win weekly, monthly and annually prizes from £25 – £500. Of course, the prizes will depend on the number of members joining the scheme. The cost to enter is £1 a week paid either every 4 weeks, Quarterly or Annually. Joining the draw automatically makes you a member as does entering any of our competitions. Playing in my first official EDGA event, I’ve now been back a few days and have had time to digest the experience overall and below is a summary of my experience. There were about forty players in attendance some with partners. Most were together in their nationalities, especially the French which is understandable under the circumstances. (This was a week after the attacks in Paris). I had arrived on the same flight as Andy Gardiner (Top British disabled player, he plays off a handicap of 4) and Will Hennessey (fellow hacker!). We were met and picked up from the Airport and transported to the hotel by Manon and Tony & Sue Bennett (EDGA Officials), who were both friendly and could not have been more helpful from the moment we arrived. We checked in and rooms were excellent and all had balconies. There were swimming pools inside and out, and spa treatments were available (if you wanted them), I could tell I was going to be comfortable here! There were also games rooms and plenty of places to relax as you prepare for the event and the food was fantastic all round. Everything was laid on and ran like clockwork…. The Clubhouse itself is fully accessible (although not that big), the staff are friendly, the beer and food is fantastic and very reasonable. The terrace beside the 18th Fairway is a great place to watch and eat lunch though balls to often come over the netting as Karen (my good lady) witnessed. (Will Hennessey also hit a lady while sky-ing his approach shot – tut tut!). The Clubhouse is located only about 300 yards from the hotel ( I did carry my clubs to the golf club) but I need not have. You could pick up a buggy and drive back or the hotel would arrange to have you brought to the club. In short, I really like EDGA…No complaints at all as to the running of the event. I had to undertake a medical, but that was done with dignity and very professionally handled. A practice round was booked for Wednesday but managed to sneak in a bit of a practice on Tuesday evening too. It was a hot 22 degrees, which my body did struggle to come to terms with. I think you need more than one day to acclimatize especially if you are not playing golfers from the same country. However, let’s not start getting in the excuses just yet…. I was down to go out just after 11.00am, when I got to the tee it appeared people had just gone off with their friends. It did not bother me as I jumped in with Will Hennessey and Mike Lincoln (Will’s Irish and Mike is a fellow Brit). The first hole at Vila Sol is a brute even after you have hit a decent drive and because it’s a 400 yard par four you tend to try and kill it off the tee. Anyhow, the three of us had great fun. I bought some balls half way round off a local lad £10 for 8 Pro V’s. I’d already lost four (! ); I only contrived to lose two more over the next three days! We went round in a little over four hours the three of us not having a clue where we were going. I shot 95 so was happy having an eight on the first, I birdied the fourth so was looking forward to breaking 90 in the first round. Mike struggled a bit but went on to play really well in the actual tournament. My tee time for 1st round was at 10.30am a nice time I thought I was drawn against a Dutch Para-Golfer (Wheelchair user) lovely guy who had a Dutch golf referee as his caddy, I was not offered a caddy. As a para-golfer, Jürgen was fast but still took three times as long as me. Sitting in the buggy in the hot sunshine I nearly dropped off to sleep – not great prep for being competitive! All in all, I had a terrible round I hit so many trees, Jürgen nicknamed me the ‘Lumberjack’! By the 16th I wanted to walk in…..the greens had been cut in the morning and were super-fast. this meant we were out on the course 5+ hours, ridiculous given the group in front finished 3 holes in front of us. I shot 104 but did not care I just wanted a beer! I had a restless night before the final day. I had finished very near the back of the field shooting 104 which was my worse round of 2015, the course was tough with a Slope Rating of 130 so all of us got 3 shots, but I let the slow play and narrow fairways get the better of me. Sadly, in addition, my stump had swollen up overnight to the size of a watermelon, so I had to dose myself up with Ibuprofen my tee time was 8.00 am, with a one-handed Frenchman ‘Axel’. Worse still, the Ping team had left the night before so I had to sort my alinement out by myself! Andy and Will were not lighting the place up either so there was very little camaraderie amongst the Brits. Perhaps we weren’t playing as a team enough…..The French, Dutch, Swedes all drank, ate and practiced together! So here I was, at the EDGA Portuguese Open 2015. I teed off into the winter sun, down the middle hit a good second shot, my approach on the first was online but we never found the ball? The sun was so low you could barely see the green. So with a ‘drop’, I scored 7 after 2 putting! I lost my drive left into water on the second and was already facing a nightmare. My opponent had had a 5 and a par when we walked to the stroke index 1, the third. I scored a double bogey on this monster uphill par four on all three rounds; my opponent took nine (9)! Anyhow, a scrambled a half decent 47 going out birdie-ing the 8th – a 530-yard par 5. We had already been out on the course well over two hours my opponents caddy kept apologising for how long her player took. He lasered every shot from the tee to the green, it drove me mad…. However, as he became tired and his game suffered more than mine. I shot 48 back nine, not good but after 5 and a quarter hours I was like a walking dead zombie….. I finished 13th and 25th out of a field of 35 overall – so respectable but no silverware! After the first round, I chatted to some of the other players and spoke at length with EDGA President – Tony Bennett. 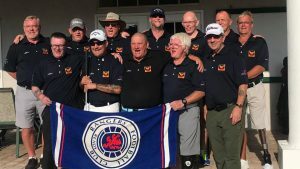 I was also amazed to hear that Jamie Blair (England Golf, Disabled CEO) had flown out to watch the first day, spoken with some of the British players but not to me?! As there were only four of us, I think he should have made more effort, anyhow he was gone by the Wednesday evening. As an aside, I also subsequently found out that the Dutch team were paid 500 Euros to attend with a brand new shirt for each day,… the French had the same. So why does golf’s British governing board want to help us in this way? N.B. 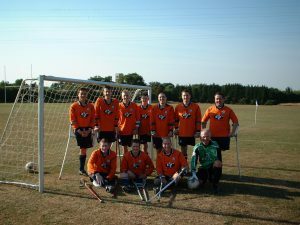 And these were much bigger teams of players?! They give EDGA money each year, which goes toward supporting the event but out of the 40 odd players only 4 of them were Brits! 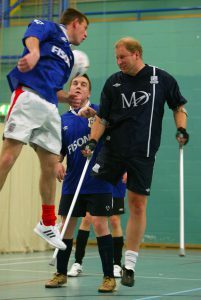 To be honest playing alongside wheelchair users does not work for me as an amputee, a time system has to be considered. Some players want penalties for slow play administered, five hours plus in sweltering temperatures has to be addressed as amputees our body temperature climbs and fatigue kicks in. I am trying to devise a way of combating slow play. This has to be achieved, EDGA will be looking at it seriously. I believe that penalties for groups taking more than 4 hours 30 minutes must come in. So, hopefully, you’re now getting the flavour of the event, you’ll appreciate a two ball over 5 hours! EDGA have volunteer marshals on every third hole, the marshals may be given the power to effect penalties – it’s some we have to consider for larger events. For the next event I believe the DGA should try to enter more players, many DGA players would qualify if they were willing to undertake the medical scrutiny, certainly something to consider for some. I know Mr.Bennett is passionate in developing a strong British contingent but right now I think like the other countries have the tournament as they want it; there are no plans as yet to have a UK EDGA tournament, although Tony intimated he wanted more players from the DGA (Disabled Golf Association) attending events. The good news is that Sergio Garcia is now EDGA’s Patron – which will help raise the profile of these events! 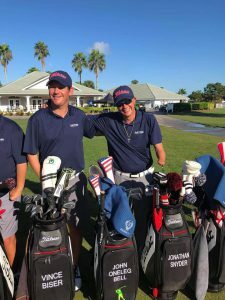 In December 2015, the International Golf Federation has been excepted by the International Paralympic Committee – so it looks as though golf will be a Paralympic sport. Pro’s – Great golf course, top players, superb hotel, good food… the weather! Con’s – very few British players, not a course for high handicappers, slow play. The Gala evening was spectacular with an opera singer and harpist. The EDGA Portuguese Open 2015 gala evening was very professional a great occasion and a chance to mix with your fellow competitors. There were great speakers from all the winners. Andy Gardiner finished best of the Brits coming 7th. Manuel De Los Santos won the event in a playoff from Mathieu Cauneau. So would I enter again? Absolutely, the Portuguese EDGA Open 2015 was a great experience! 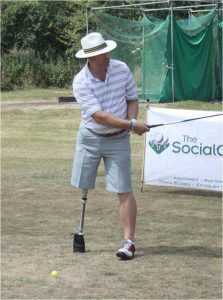 N.B ALL disabled golfers receive a FREE membership to TheSocialGolfer.com, if you are a disabled golfer and wish to join, please contact theteam@thesocialgolfer.com for details. 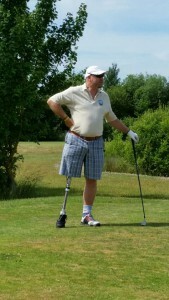 Who was involved at the EDGA Disabled Championship 2014? 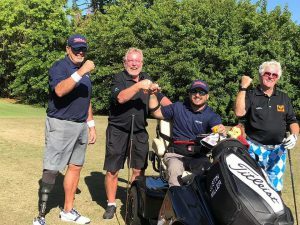 The EDGA Disabled Championship included a rich diversity of disabled players single & double leg amputees, armed amputees (one-armed golfers), wheelchair (paraplegic golfers), phocomelia and thalidomide. 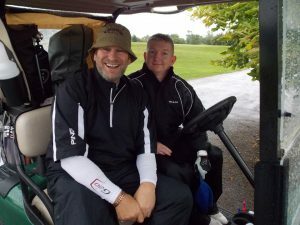 The event, the first EDGA individual disabled championship of its kind ever held in the UK was supported by the R&A, The Douglas Bader Foundation, TheSocialGolfer.com, Titleist , Belton Park Golf Club, Bradshaw Rentals and the De Vere Group. A field of 72 from more than 10 countries including France, Spain, Sweden, Denmark, The Czech Rep, Belgium and Holland all arrived at the well known Lincolnshire venue on Thursday for the practice day with the prospect of three days of competitive golf before them. 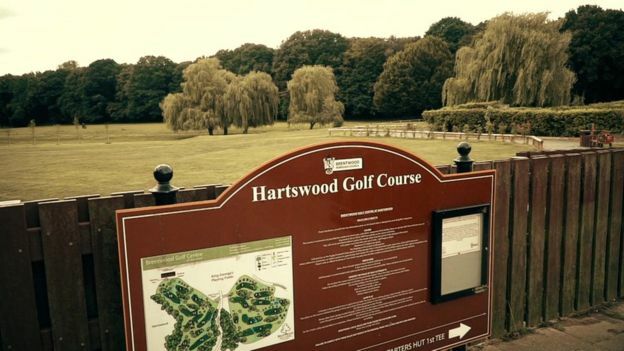 Initially planned as a 54 hole event, sadly the rain stopped play on the second day, and subsequently the event was reduced to a 36 hole event with too many rounds on the Saturday not completed. 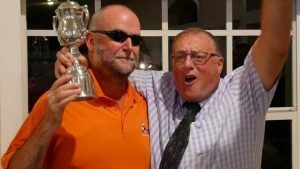 However, this did not dampen the spirits of the competitors who also all attended a Gala dinner on the Saturday evening which was also attended by BALASA Chairman, Richard Saunders and EDGA, President Tony Bennett. The quality of the golf across the weekend was an inspiration to those that attended and the event was also covered by Sky Sports News giving much needed exposure to the championship. Well despite a fantastic showing by the Europeans who took the top honours in the overall competition with Stefan Morkholt (Den) winning the men’s and Caroline Larsson (Swe) lifting the ladies trophy. However, it was the UK golfers who won 4 out of 5 of the categories they competed in….